These ceramic water filters are truly remarkable. They are environmentally friendly, long-lasting, affordable to build, and—most importantly—they save lives! 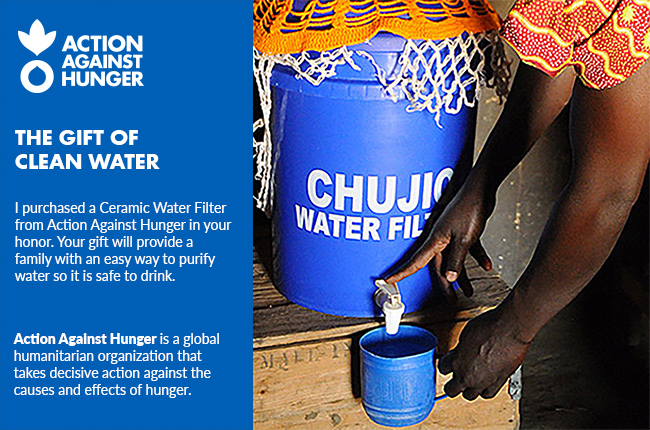 Give clean, safe water to a family for less than the plastic filters we buy for our own homes. For a limited time, this gift is sponsored by The Republic of Tea, one of our generous partners.